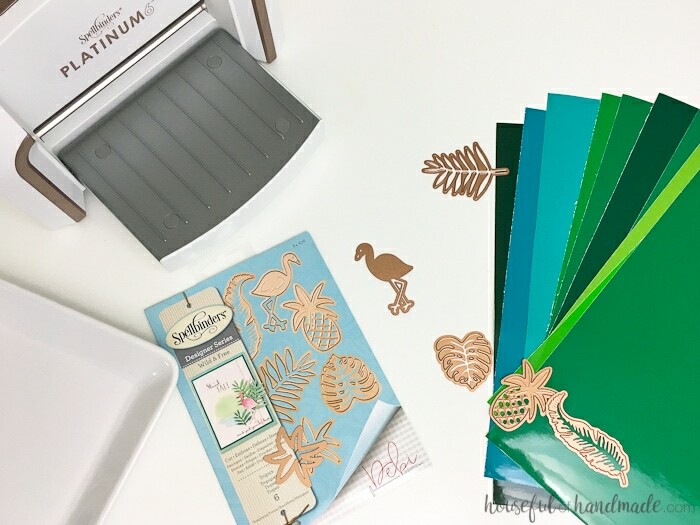 Thank you to Spellbinders for sponsoring this post. I only recommend products that I use and love and all opinions are 100% my own. This post contains some affiliate links for your convenience. Clicking these links will help support this blog so I can keep creating things to share with you, but you will never pay more by using an affiliate link. Click here to read my full disclosure policy. 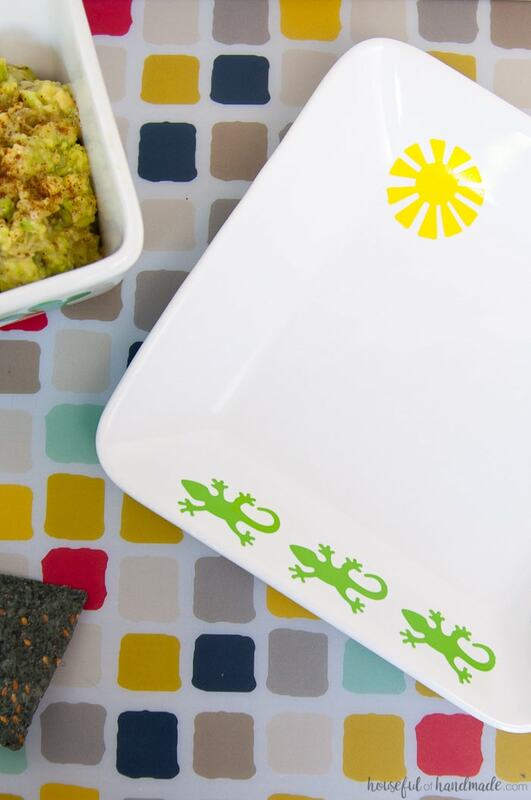 I used Shapeabilites Tropics Wild & Free for the palms and flamingos dishes and D-Lites Southwest dies for the cactus & geckos dishes. I used Oracal 651 vinyl which has more staying power and can last through a couple hand washes too. The hardest part of the whole project is picking out what dies to use. There are so many etched dies to choose from. Since I am using mine for summer BBQs, I chose fun summery dies. Cut a piece of vinyl big enough for the die. 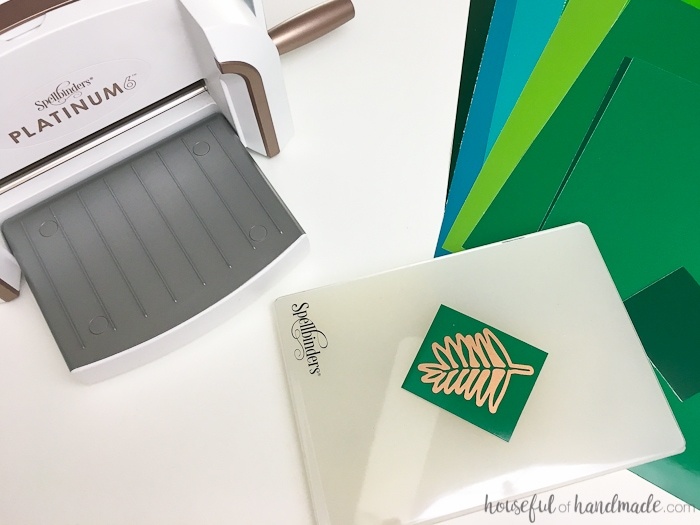 Create your cutting sandwich by placing the platform, then a cutting plate, your vinyl (facing up), the die, and then top if off with a second cutting plate. Run it through the die cut machine. You may notice the vinyl is embossed slightly. 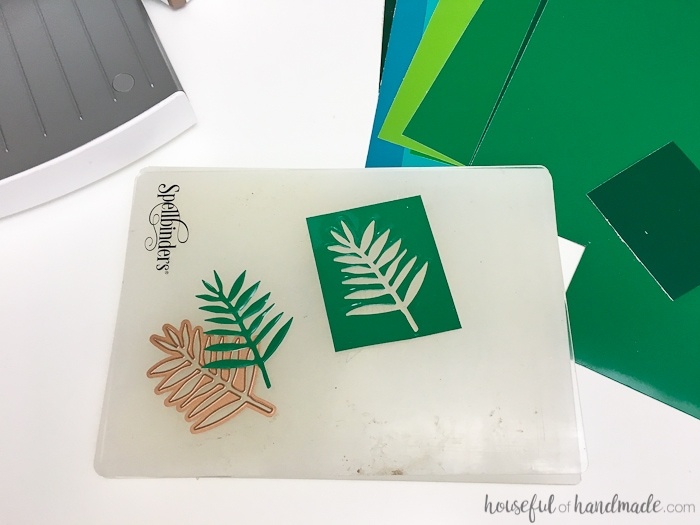 If you do not want the embossing to show up, you can easily press it out, or press lightly to keep it intact. 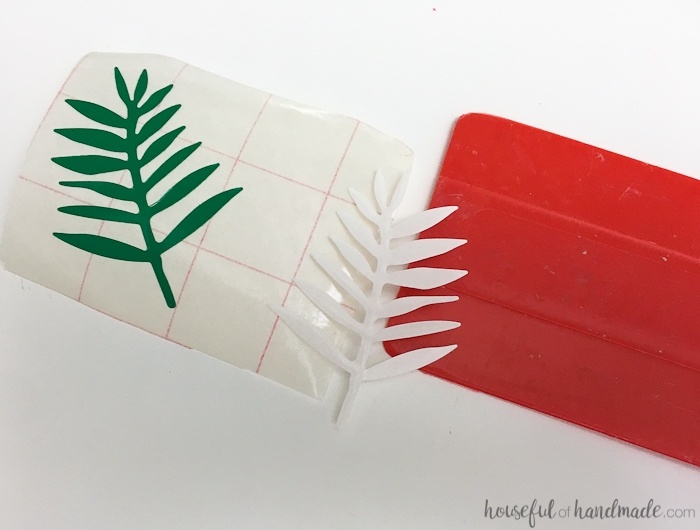 Grab a scrap piece of transfer tape. I used the same piece over and over and over, and on some of the simpler designs (not the flamingo or palm leaves) I didn’t use any. 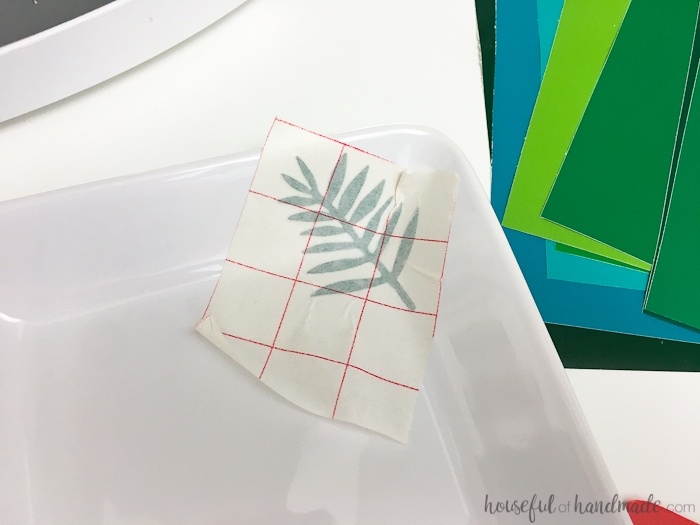 Place the cut vinyl design on the back of the transfer tape and cover it back up with the backing. Rub it with the vinyl scraper to secure it. 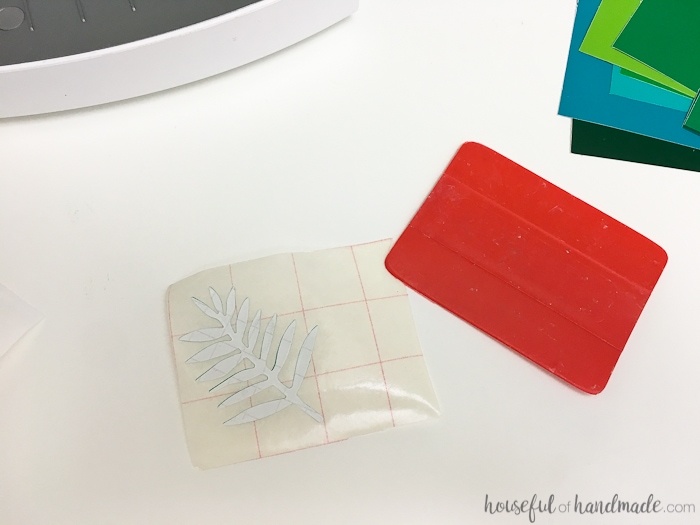 Remover the transfer tape back and then the vinyl backing. Clean the area of the dish with a cotton ball and rubbing alcohol to make sure there is no greasy residue. 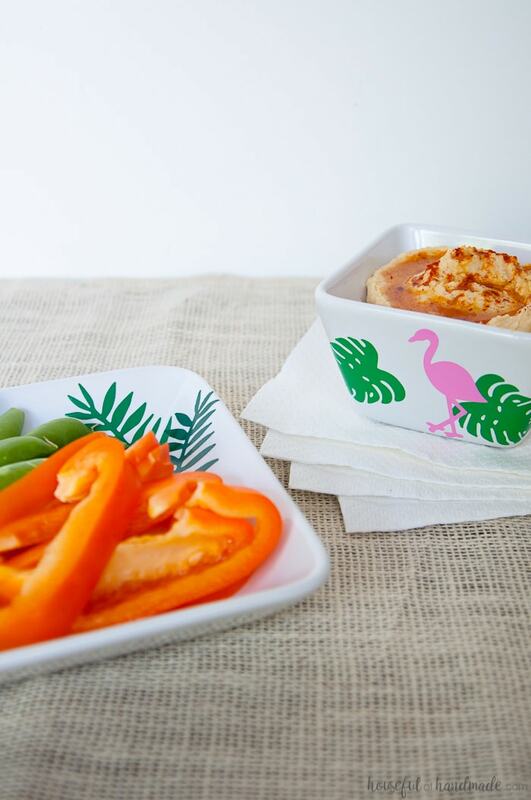 Place the vinyl design on your plain dish and rub with your finger. Remove the transfer tape and see the vinyl stuck to your dish. Repeat as many times as you want until you get the design you want. I layer the palms for more details. And for the southwest plate, I love the trail of geckos around the bottom. Makes me want to eat tacos! 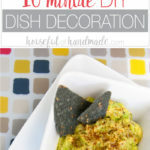 Now just fill your dishes up with your favorite foods and go show off you DIY dish decoration. You will definitely have the best dishes ever! And when the party is over, pull off the vinyl and get ready to decorate them another day. 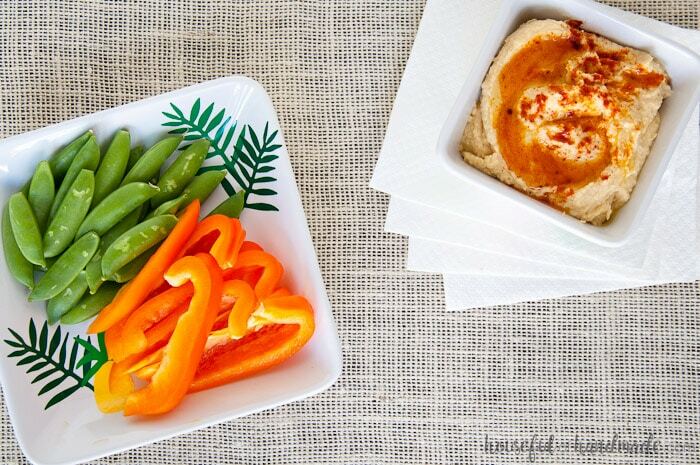 Such a fun and easy hack for the crazy days of summer. Now there is plenty of time for some friends and fun!